In 1867, Alonzo Horton sold to A.S. Seely, a mail carrier from Los Angeles, a one half interest of the original Pacifica Hotel property site , which included spaces 547-557. 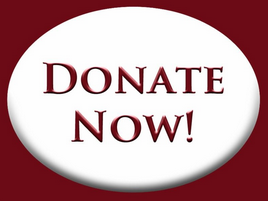 Mr. Seely paid Mr. Horton $25.00. The owner of the other half of the property was unknown. Throughout the 1880s, the property changed hands many times, and the structures at the site were a series of small wooden buildings. In the early 1900s, the Excelsior Soda Works, an established bottling company, formerly on India Street since 1893, constructed a new bottling works factory at 557 Fourth Avenue. In 1908, the property once more changed hands. This time Henry Krotzer purchased the property for “next to nothing” according to the local news sources. Krotzer leased the vacated bottling works to H. Lynell, who used the building as a furniture and auctioneering business. The present building, 551 Fourth Avenue, was constructed between 1910 and 1914. The structure, a three-story brick building, consists of 40 hotel rooms with multiple lightwells, a 5,000 square foot basement with redwood rafters and several street level stores. In the basement was a steam boiler used for heating and hot water, which remained in use until 2003. Although it has been replaced by a more modern appliance, the boiler is still in the basement. Between 1914 and 1930, the hotel was first the New York Hotel and then the Midland. The early street level businesses were varied. Between 1917 and 1928, many Chinese companies, including the Golden Gate Company, occupied the space at 555 Fourth Avenue and used it primarily for storage of their excess goods. Additionally, a Chinese restaurant was also a tenant. Things became more lively in 1925 when the Pacifica Dance Hall moved into the space at 547. The Pacifica remained a tenant until 1928. The hotel, meanwhile, was rebranded as the Service Hotel in 1930, since it provided housing for the military. By 1960, the hotel had been condemned by the City for lack of secondary fire exits in the back of the building. It remained boarded up until 1967, when it was purchased by Jim and Violet Seery , with a loan from Home Federal Savings and Loan. At that point, it had deteriorated into more than just a “fixer upper.” The hotel had broken windows, pigeons nesting in rooms, and old and molding furniture and fabric coverings throughout. The basement had approximately five to six inches of standing water in some places, and was stacked with old furniture. After extensive restoration, much of it done by the Seerys themselves, plus the addition of fire escapes in the rear of the building, the Seery Hotel opened in 1969. It remained the Seery Hotel until 1981. As the Seerys were nearing retirement age, they sold the hotel to Mohan and Kanchan Bakta, and in 1981 the Seery Hotel was renamed the Pacifica Hotel. The Baktas have continually lived on the property, where they raised five children. The hotel , now primarily a residential hotel, features vintage furniture, shared baths, laundry facilities and many thoughtful amenities such as daily newspapers and washbasins in each room. Cafe Sevilla, a popular Spanish restaurant and tapas bar, opened its doors in space 555 in 1984, and remained in that spot until 2016, when it moved to a larger location on Fifth Avenue. With its signature flamenco show, it is one of the most popular nightclubs in the Gaslamp. In 1981, Kit Goldman opened the Gaslamp Quarter Theater in the space once occupied by the Pacifica Dance Hall. This was not without some contentious backlash from Mr. Tom Wen Tang, who had lived on the property for 50 years and was not pleased at having to find a new venue in which to play Mahjong! Ms. Goldman , who featured innovative drama and encouraged local talent, was managing director from 1980-1990. The theater, which had expanded from its humble beginning in the 99 seat, non-air conditioned venue to a second location at the much larger and more modern Hahn Cosmopolitan Theater saw its original founders and principals retire in 1990. 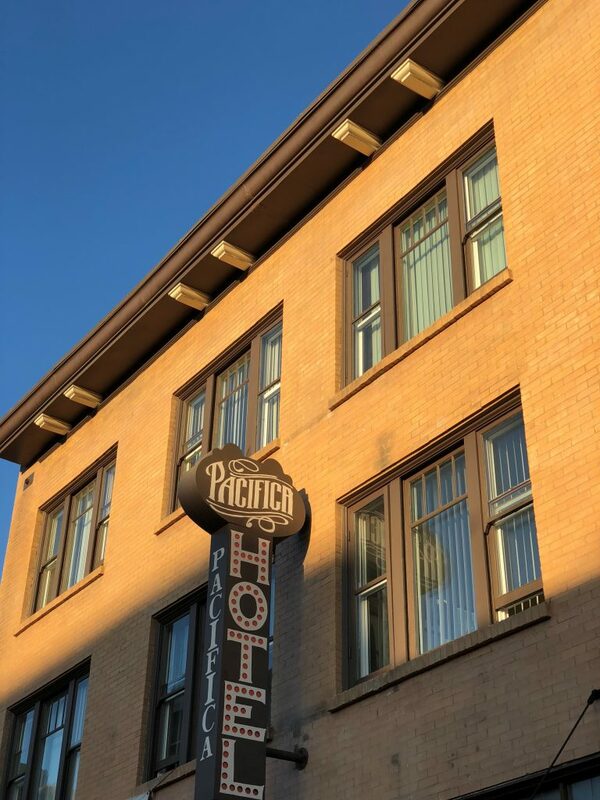 The Pacifica Hotel has undergone many changes , rebrandings and resurrections since 1910, and after many soil and earthquake tests is now listed as one of the safest buildings in the Gaslamp. The Baktas remain in residence, and the hotel continues to provide dependable, comfortable service to its residents and visitors.